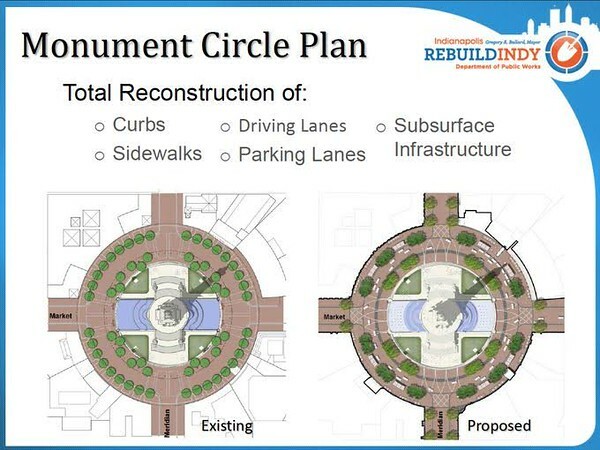 In 2013 the City of Indianapolis announced its intention to spend upwards of $60 million to redesign Monument Circle. The project would replace decaying infrastructure and include amenities to make the area more pedestrian-friendly. Instead of hosting traditional design charrettes, the City turned to tactical urbanism expert Big Car Collaborative to host an 11-week demonstration project from August through October 2015. 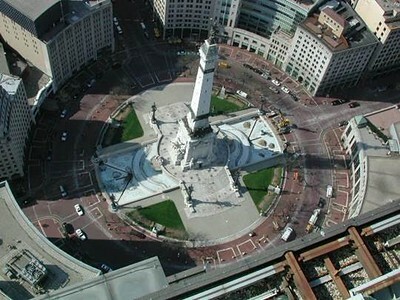 This unique partnership between public and private entities temporarily tested design concepts as part of an innovative, living laboratory called Spark: Monument Circle. In 1821 Alexander Ralston designed the City of Indianapolis around a three acre plot of land, wrapped by an 80-foot wide circular street called Governor’s Circle. Originally intended to serve as the site for the Indiana governor’s residence, it would be renamed Monument Circle at the turn of the century when efforts began in earnest to erect a massive, 284-foot tall, neoclassical monument called the Indiana State Soldiers and Sailors Monument. From the city’s beginning, this area would serve as the literal and figurative heart of Indianapolis. Although the space serves as the present-day location for concerts and occasional festivals and celebrations, Monument Circle remains an underused urban asset. Big Car Collaborative is a nonprofit arts organization that has a track record of creating vibrant public places and enhancing quality of life in neighborhoods through creative placemaking, tactical urbanism, and socially engaged art. 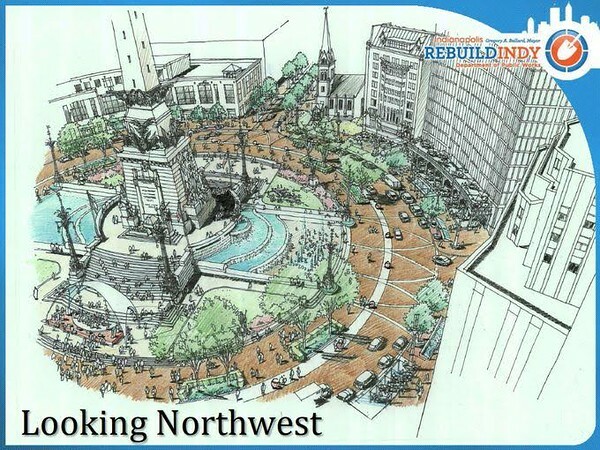 The group has had a keen interest in Monument Circle for years, having been unsuccessful in previous attempts to be awarded a placemaking grant to activate Monument Circle. When the City approached the nonprofit group with an offer to collaborate in 2015, it found a major partner to leverage and secure funding from the National Endowment for the Arts and the Central Indiana Community Foundation. 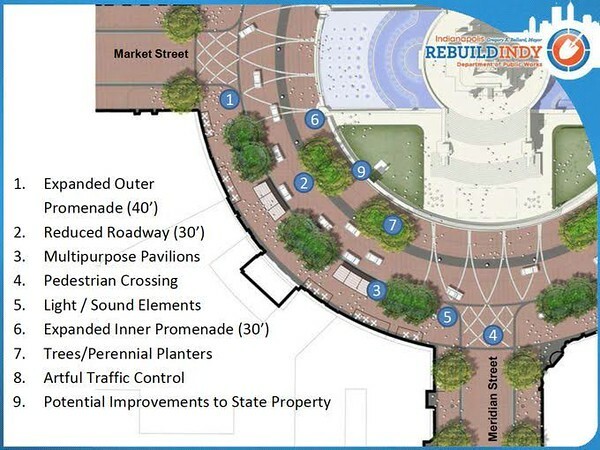 The funds would allow the group to experiment with ways to better activate and utilize Monument Circle on a daily basis and incorporate those concepts into the City’s plan to permanently redesign the space.